Netflix has announced that it is expanding its partnership with Hasbro to increase the number of children's programming options it offers in its streaming service. Last April Netflix and Hasbro entered into a multi-year partnership that is now being expanded to cover more titles. The five new additions include My Little Pony Friendship is Magic, Transformers Prime, Transformers Rescue Bots, Kaijudo: Rise of the Duel Masters and Littlest Pet Shop. The seasons will be added to Netflix Watch Instantly one month after the finale airs on The Hub, the cable network jointly owned by Hasbro and Discovery Networks. It appears that children's programming is all the rage on streaming services these days. Netflix also took this opportunity to announce that over 2 billion hours of kid friendly programming was streamed on Netflix in 2012. Amazon also must be seeing some success in this field as well as it has commissioned five pilots of original children's programming that it will be test marketing. While streaming media is an awesome way for adults to catch up on television shows, it must also be a blessing for parents as they can switch it on any time day or night to keep the little ones entertained. BEVERLY HILLS, Calif. and PAWTUCKET, R.I., April 11, 2013 /PRNewswire/ — Netflix, Inc. (Nasdaq: NFLX) and Hasbro, Inc. (NASDAQ: HAS) today announced an expanded agreement making two of the hottest new Hasbro Studios shows, Littlest Pet Shop and Kaijudo: Rise of the Duel Masters, available to Netflix members in the U.S. Kaijudo is available now and Littlest Pet Shop will be available summer 2013. Through this agreement, Netflix becomes the exclusive over the top streaming subscription destination in the US for five of Hasbro Studios most popular shows – My Little Pony Friendship is Magic, Transformers Prime, Transformers Rescue Bots, Kaijudo: Rise of the Duel Masters, and Littlest Pet Shop. New seasons of each of the shows will be available for members to watch instantly one month after their finale airs on The Hub Network. Popular Hasbro titles are now available to Canadian members for the first time, including My Little Pony Friendship is Magic, Transformers Prime, Pound Puppies and The Adventures of Chuck & Friends. Additional shows will become available in Canada throughout 2013 including Transformers Rescue Bots, Kaijudo: Rise of the Duel Masters and Littlest Pet Shop. "The success of Hasbro Studios content on Netflix has been remarkable and we are proud to add more shows and extend our relationship throughout North America," said Ted Sarandos, Chief Content Officer, Netflix. "In a very competitive field, Hasbro Studios has risen to become a major content player with shows that kids watch and families trust." 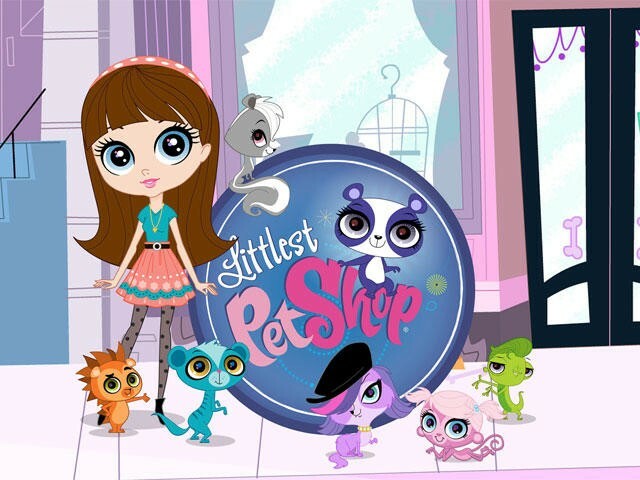 "Through our Littlest Pet Shop and Kaijudo expanded relationship with Netflix we look to bring even more Hasbro Studios shows to additional geographies reaching an expanded audience," said Hasbro Studios President Stephen Davis. "We are making Hasbro Studios award-winning content, engaging storytelling and beloved characters available for viewers to enjoy anytime, anywhere and on all platforms."